Reading and share top 10 Thomas Dooley famous quotes and sayings. 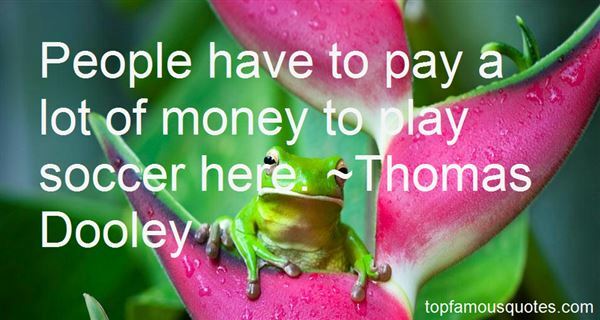 Browse top 10 most favorite famous quotes and sayings by Thomas Dooley. ... the reason life works at all is that not everyone in your tribe is nuts on the same day. [pp. 65-66]"
What Did Thomas Dooley Talk About?